Have You Hugged Your Grant Panelist? Short post today because I just returned home after serving on a grant review panel for the state arts council. The deputy director of the council was reminiscing about the days in the not so distant past when the review process for the main grant program took three days. Even though the panelists reviewed the applications in advance, they would spend time reviewing VHS tapes, etc as a group and discussing final thoughts on the grants across those three days. Now it is possible to review and pre-score the grants online and likewise review videos, recordings, webpages, etc online and in advance as well. The stacks of applications for each grant program are distributed between different groups so that no group of reviewers has to spend more than a day at the arts council offices deciding on final scoring. It is still a big job to serve on the panels and potential reviewers are busy. A month ago a colleague told me she had been asked to serve on a panel for another program, but felt some trepidation about having enough time amidst all her other commitments to review the 45 proposals that had been assigned to her group. There was a member of my panel today whose background and expertise I felt was much needed because it aligned with the non-arts field components found in five of the grant proposals. She also expressed reservations about serving again due to the time commitment required to preview the 45 proposals. I should note the actual time we spent reviewing the grants today was about 6 hours. That is about an appropriate number of proposals to assign a group to review for a day. But it was also only possible thanks to 25-30 hours of preparation. The moral of my little story here is to encourage everyone to volunteer to serve on your state arts council (or NEA) grant panels when asked. Failing that, give your panel participants a hug in thanks. 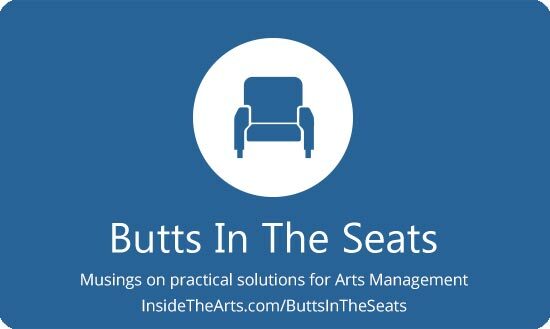 Heck, definitely give your arts council staff a hug. They vet many multiples of proposals for basic qualifications and prepare them for the grant panels. Not to mention organizing and providing orientations to the panelists in the first place. Are They Taking A Picture Of Your Powerpoint Because They Like It Or Because They Can’t Read It?